Delta has dropped the price of a few of their flights from Toronto to Belize City, Belize in April down to $377 CAD roundtrip including taxes. The flights have 1 stop each way in Atlanta. There aren't a ton of dates available, so these may sell out pretty quickly. Update 3/4 - The Delta flights are gone. 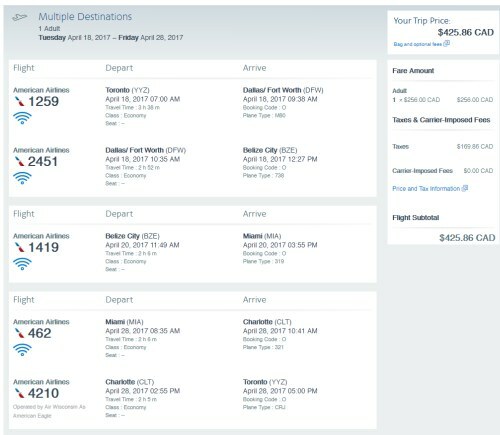 There are flights with American Airlines for a similar price, but they have overnight layovers in Miami. 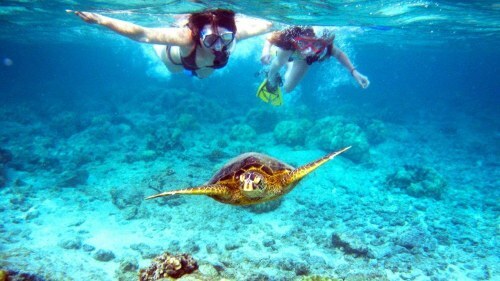 You can extend the layover in Miami and turn this into a 2-in-1 trip (Miami and Belize) for a total price of $425 CAD roundtrip including taxes. toronto, yyz, flight deals, central america, delta, belize, bze and belize city.